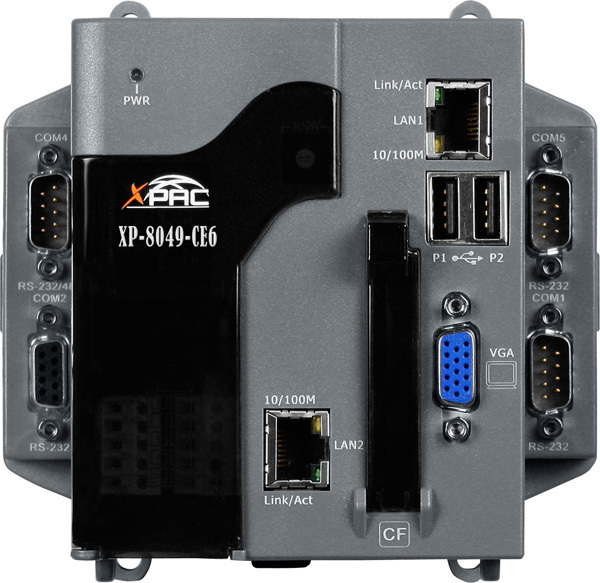 XP-8x49-CE6 is the new generation Windows CE 6.0 based InduSoft PAC (Programmable Automation Controller) of ICP DAS. InduSoft is the most powerful, integrated collection of e-automation development tool that includes all the building blocks needed to develop HMI (Human Machine Interface) and SCADA (Supervisory Control and Data Acquisition system. XP-8000-CE6 series equips a AMD LX 800 CPU (500MHz), variant connectivity (VGA, USB, Ethernet, RS-232/RS-485), and 3/7 slots for high performance parallel I/O modules (high profile I-8K series) and serial-type I/O modules (high profile I-87K I/O modules). Its operating system, Windows Embedded CE 6.0 is an operating system with resource saving and real-time capability as their main features. 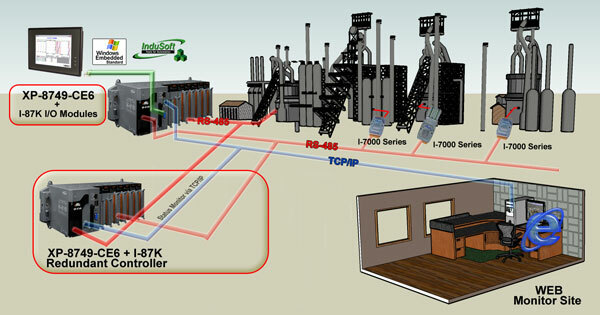 To develop XP-8000-CE6, the time spent for development is not much especially with our SDK and pluggable IO modules. 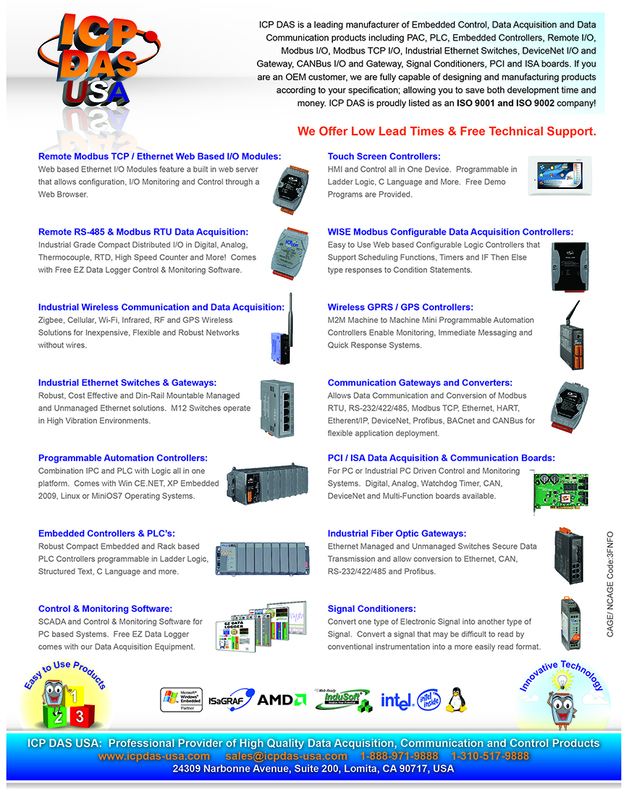 IWS applications run on microcomputers connected in real-time to machines or processors through XP-8000-CE6 programmable controllers, remote I/O devices, and other data acquisition equipment. These applications consist of animated operator-interface screens, rollable I/O devices, an application tags database, and optional modules such as alarm monitors, trend charts, recipes, schedulers, and a security system. Supports third-party SQL relational databases such as SQL Server, MS Access, Excel, Oracle ...etc. 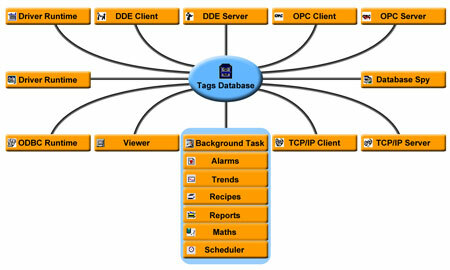 Database connectivety from any platform supported by IWS or CEView, through the unique Studio Database Gateway. Supports Secondary Database in the modes "Redundancy" or "Store and Forward" to increase the reliability of the system and avoid loss of data. I/O Status of WinPAC can be gathered via Internet by polling or inform actively(trap) mode to remote SNMP manager station. 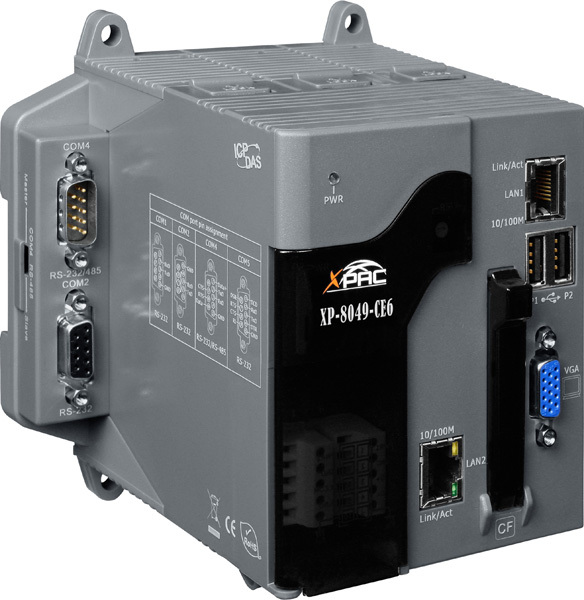 WinPAC controller can be treated as a SNMP gateway to transfer the information including I/O and user-defined data to SNMP manager station. Integrating I/O and Network information in SNMP manager station. ICP DAS has released a package tool for InduSoft. The package tool is integrated with several ActiveX objects and communication tools, including "GSM_ActiveX", "SHM_ActiveX", "COM_ActiveX" and "COM Port Communication Tool"...etc.